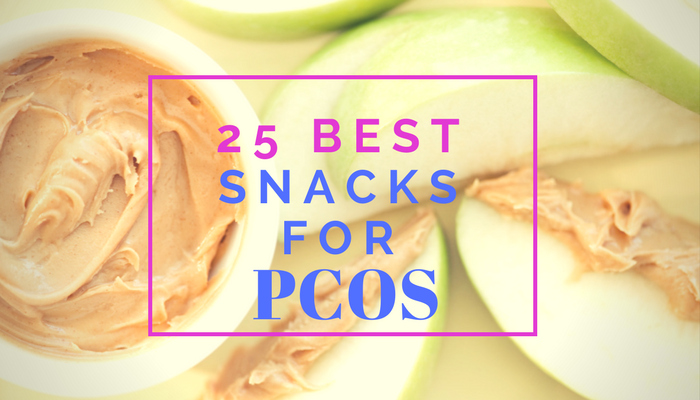 Pregnant with PCOS and not sure what to eat? Relax! While some factors are outside of your control, eating a nutritious diet is one way you can support a healthy pregnancy. We’ve all heard the phrase, “eating for two” referring to pregnancy. While you don’t need to eat twice as much and shouldn’t use pregnancy as an excuse to constantly overindulge, you are eating for two since your diet affects both you and your baby. Surprisingly, calorie needs don’t increase very much but the needs for several nutrients do increase, including folate (folic acid), iron, iodine, and choline; therefore it’s important to focus on diet quality and choose nutrient-dense foods when you’re pregnant. Additionally, certain foods and beverages should be limited or avoided. 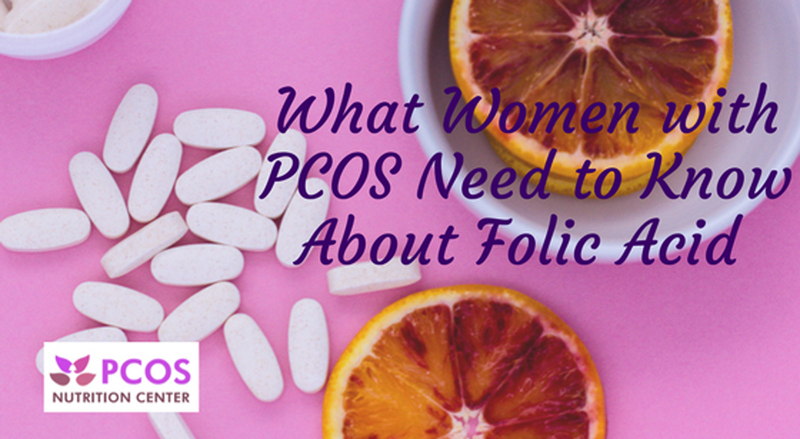 Pregnant women with PCOS should take extra care with regards to their diet since they are at an increased risk for miscarriage and developing gestational diabetes. 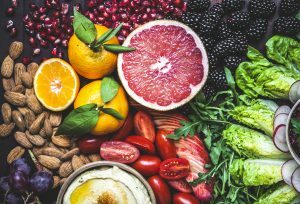 In women with PCOS, a recent found that those who closely followed a healthy dietary pattern, including vegetables, cereals and legumes before conception and during early pregnancy were three times as likely to have a healthy pregnancy. 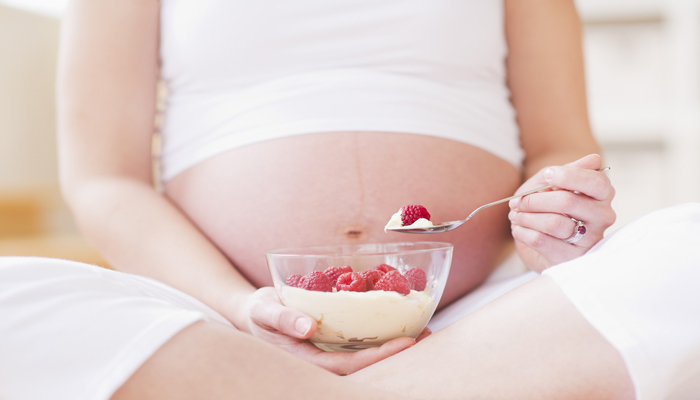 Here are 6 key nutrition tips to get your pregnancy off on a good start if you have PCOS. Generally aim to eat every three to four hours, including three meals and two or three snacks to help keep blood sugar levels stable. Eating regularly so you don’t get too hungry may help with morning sickness as well since drops in blood sugar levels can make you feel worse. Morning sickness can make some foods (or eating in general!) seem unappealing, but it’s important to eat something. If you’re really struggling, try keeping dry whole grain cereal or crackers on your bedside table, in your purse or desk drawer to nibble on as needed. Including fiber-rich carbohydrates, healthy fats and protein with each meal and snack is better for blood sugar and ensures you’re getting a variety of nutrients. Fiber is found in plant foods such as vegetables, fruit, whole grains, legumes, nuts and seeds. Sources of healthy fats include olive oil, avocado, nuts, seeds, and oily fish. Protein-rich foods include fish, seafood, beans, lentils, and yogurt. Here are some examples of meals and snacks: scrambled eggs with whole grain toast and avocado for breakfast, salmon with quinoa and sauteed kale for dinner, plain Greek yogurt with blueberries or an apple and roasted almonds for a snack. Carbohydrates are an important source of energy for pregnant women and provide glucose for a baby’s growth in utero. Instead of avoiding carbohydrates, choose nutritious, fiber-rich options with each meal and snack, such as whole grains, beans, lentils, starchy vegetables (sweet potato, corn, peas) and whole fruit. In addition to carbohydrates, these foods provide a range of vitamins and minerals including folate, iron, magnesium and vitamin C, plus the fiber helps keep blood sugar and insulin levels from spiking. Aim for two to three servings of low-mercury fish and seafood per week. Oily fish especially is an excellent source of DHA, the omega-3 fatty acid that is important for baby’s brain development. Some of the best options include wild salmon, skipjack (light) tuna, mackerel, and sardines. While coffee can be good for women with PCOS, it’s important to limit caffeine consumption during pregnancy. Current guidelines recommend 200 milligrams as a safe limit, which is approximately two 6-ounce cups of brewed coffee. Green tea can also be part of an anti-inflammatory diet for PCOS . Although it is lower in caffeine than coffee, high amounts of green tea may interfere with folate (a critical nutrient for neural tube development) so limit to one cup per day if you’re trying to conceive or in your first trimester. If you want a comforting cup of tea without caffeine, ginger tea is naturally caffeine free and can help ease nausea. A daily prenatal multivitamin helps to fill in the gaps – it does not replace a nutritious diet. When selecting a prenatal multivitamin, look for a safe formula that is third-party certified (i.e. USP or NSF) and meets 100% or more of the daily value for iron, folate, iodine, vitamin D. If you not eat omega-3 rich seafood regularly, look for one that also provides 200mg or more DHA. Keep in mind that vitamin gummies don’t usually contain iron, and that most multivitamins tend to provide inadequate amounts of calcium (1000mg/day) and choline (450mg/day) for pregnancy. 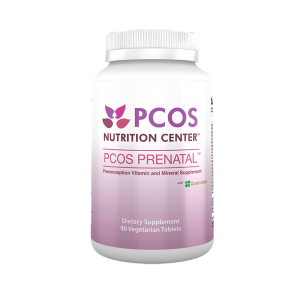 We recommend our PCOS PRENATAL™, the first and only prenatal vitamin and mineral supplement specifically formulated to meet the needs of women with PCOS who are trying to conceive or who are pregnant or postpartum. Since calcium and choline are often lacking in prenatal multivitamins, make sure to include foods that are rich in these nutrients. Calcium may reduce the risk of pregnancy-induced hypertension , which includes gestational diabetes and preeclampsia, and choline plays an important role in neural tube and fetal brain development. Dairy is a common source of calcium, but for those who avoid dairy, alternative calcium sources include canned salmon and sardines, collard greens, bok choy, kale, broccoli, tofu processed with calcium, and fortified non-dairy milks. 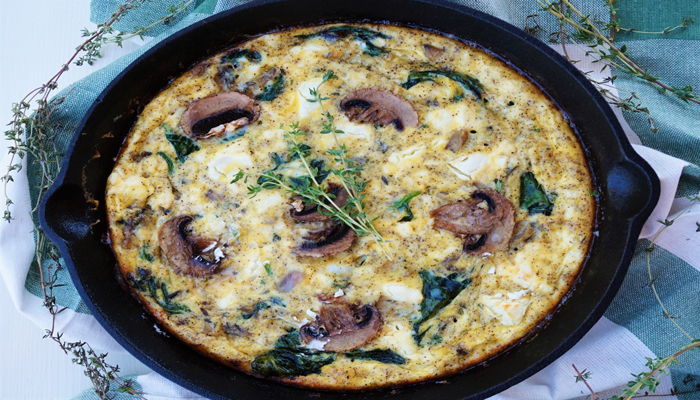 Good sources of choline include egg yolks, chicken breast, edamame (soybeans), canned salmon, cod and shiitake mushrooms. Vitamin D is very important in pregnancy for both mom and baby. Vitamin D levels have been shown to be depleted in mothers by the time they give birth. 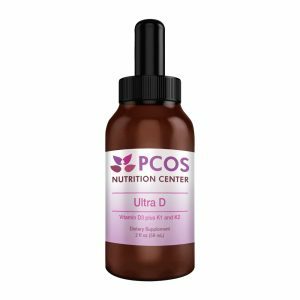 One study found women taking 4,000 IU of vitamin D daily had the greatest benefits in preventing babies from being born prematurely and reduced complications in pregnancy. Few foods contain vitamin D so supplementation is necessary. Finally, inositols are nutrients that are naturally found in food and produced in the body, and they can also be taken as supplements. Inositol helps the body use insulin more effectively, which is beneficial for women with PCOS, and several studies have shown it helps prevent gestational diabetes. 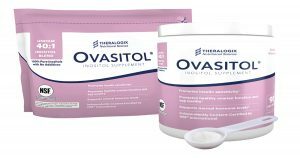 While inositol is safe to take during pregnancy, be sure to consult with your OB-GYN before taking a supplement. 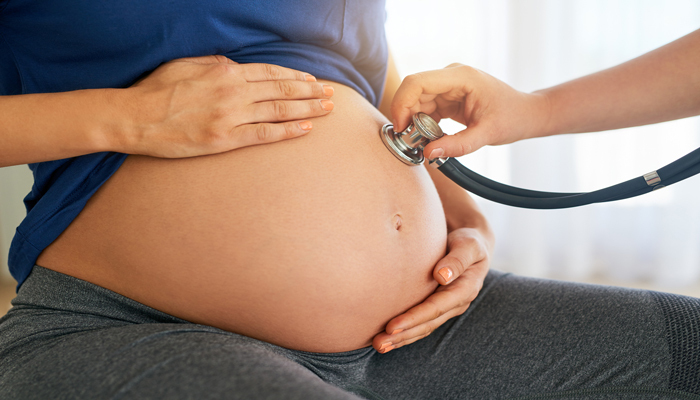 Additionally, a registered dietitian who specializes in reproductive or prenatal health can provide individualized nutrition recommendations and discuss your care with your doctor. Rachelle LaCroix Mallik, MA, RD, LDN is a registered dietitian and reproductive nutrition specialist. She owns The Food Therapist, LLC, a private practice that specializes in nutrition counseling for fertility, pregnancy, postpartum and breastfeeding. Rachelle is a compassionate, food-first dietitian who empowers women during their reproductive journeys. 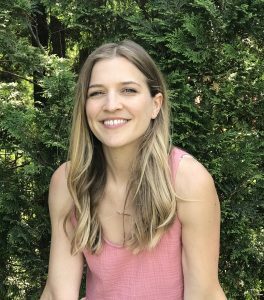 With more than ten years of experience caring for patients, including a top-fertility center in New York, private practice in New York City and Melbourne, Australia, and Chicago hospitals, Rachelle provides a holistic and evidenced-based approach to nutrition and wellness. She strives to ensure women are nourished before, during, and after pregnancy to improve their health and the health of the babies. Follow Rachelle on Instagram, Twitter and Facebook at @rachellemallik or visit her website at www.rachellemallik.com to schedule a complimentary intro session. Interesting blog, thanks for sharing the nutrition tips for a healthy pcos pregnancy. Was very helpful, thanks for sharing the blog with us.